Florida! Oh, Florida. So wacky and weird. A state divided against itself, so it seems at times. At least, as evidenced by the results of the many elections which are so close as to need recount after recount. But this just reflects the diversity that is Florida. I chose Naples as the setting because it seemed the best place for the kind of concierge medicine that my doctor decided to practice after leaving the big city ER. Naples is a place of contrasts. On the west side of Florida, the beautiful Gulf Coast is filled with the wealthy elderly population, but just inland live the economically disadvantaged in the swamps of the Everglades and only two hours away is the rich cultural diversity of Miami. Having visited the area many times, I knew what a great setting it would make and in fact, I used the Everglades in a previous book, Big Cypress Crossroads. That book was a gay romance as well, but more of a mystery and not a medical romance. 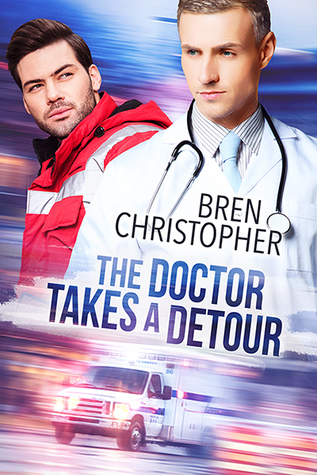 Bren Christopher is a multi-published romance author who currently resides in Florida. Although Bren has always been an avid reader in every genre, it wasn’t until she discovered gay romance that the characters who had been content to reside in her imagination started insisting they needed a wider audience. She has a lot of fun helping her folks come to life, and hopes the reader has just as much fun getting to know them. Bren loves to hear from readers, so stop by her website or keep in touch via Facebook. I wouldn't mind visiting, but I wouldn't want to live in Florida. I'm not a fan of the heat! I have visited Florida but the heat and the humidity are to much for me. I suppose you get accustomed to the heat and it's a great setting for a story. I've been to Florida but not that part. The weather wasn't too bad when I went but I don't think anyone likes humidity.